The CSNAT is an evidence-based tool that facilitates tailored support for family members and friends (carers) of adults with long term life-limiting conditions. The research underpinning this tool was informed by carers and practitioners. 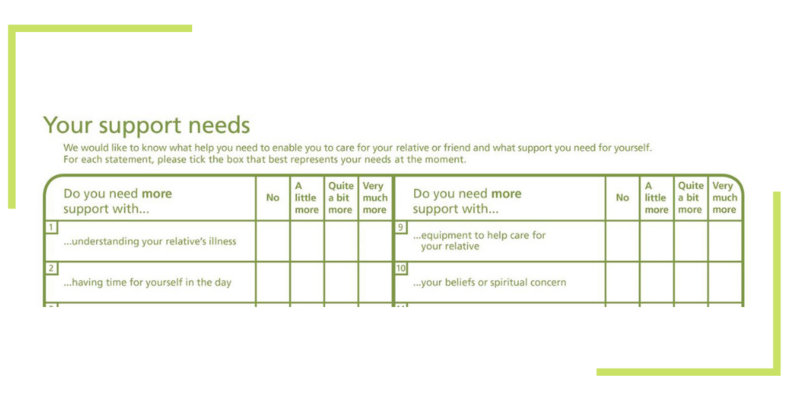 It comprises 14 domains (broad areas of need) in which carers commonly say they require support. Carers may use this tool to indicate further support they need both to enable them to care for their family member or friend and to preserve their own health and well-being within their caregiving role. It is short and simple to use for both carers and practitioners. What does the CSNAT look like? The CSNAT uses a simple question and answer format to ask family carers which areas they need more support with. The ‘visibility’ of common areas of support provided by the tool has been found to be helpful for carers. 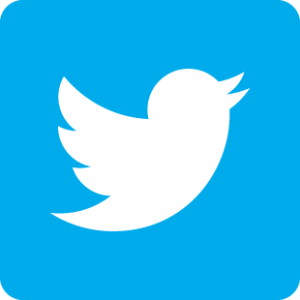 They can indicate whether or not they need more support in relation to each domain. 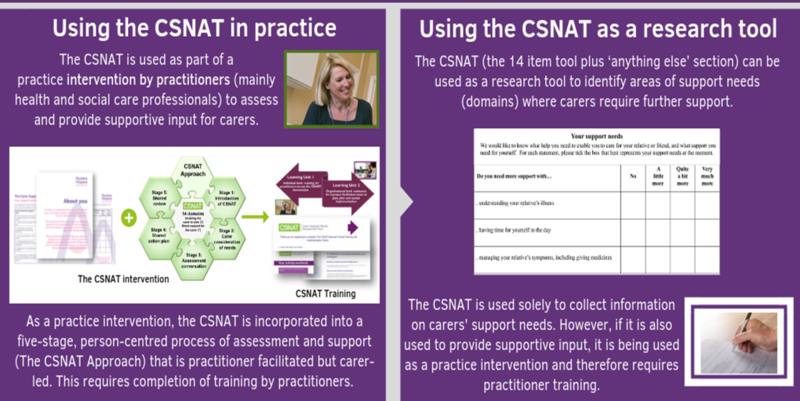 For use in practice, the CSNAT is integrated into a five-stage person-centred process of assessment and support that is practitioner-facilitated but carer led. We refer to this as the ‘The CSNAT Approach’. What is The CSNAT Approach? 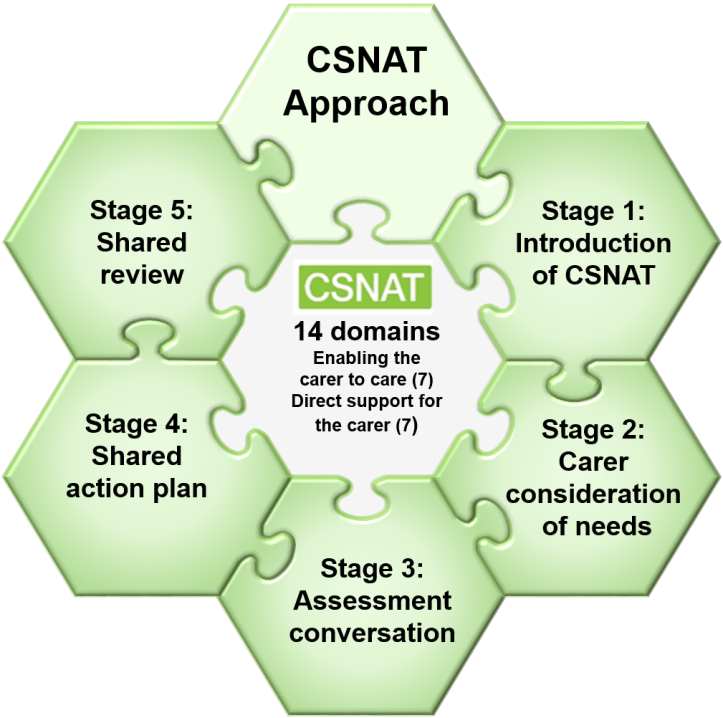 The CSNAT Approach is a five-stage person-centred process of assessment and support which begins when carers are introduced to the CSNAT. Carers then use the CSNAT to indicate the domains in which they need more support and then prioritise those most important to them at that moment in time. An assessment conversation then takes place between the carer and practitioner which focuses on the domains prioritised by the carer. Carers will have different individual needs with each of the domains. Therefore this conversation is crucial in enabling the carer to express their individual support needs. Then, together, the carer and practitioner agree on what further supportive input would be valuable and create a shared action plan. A shared review of the carers’ support needs can then be carried out at another point in time. Can I use the CSNAT in my practice? Yes – but as the CSNAT is protected by copyright, organisations need a licence to use the tool. Completion of CSNAT training is also required. The CSNAT tool and online training are available free of charge for healthcare professionals in non-commercial. Can I use the CSNAT in my research? Yes –but you must get a licence to use the tool in your research project. First of all you need to consider how the CSNAT is being used within your research study. The infographic below explains the difference between using the CSNAT as a practice intervention within a research study and simply collecting research data on domains of unmet needs. 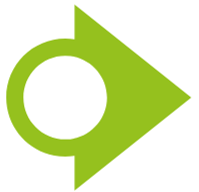 The CSNAT is available free of charge for use by researchers in non-commercial organisations.